Amid the excitement and chaos surrounding the release of the iPhone 5, many customers noticed that there were some problems with their brand new devices. Issues ranged from strange noises coming from the device to “leaking light.” ‘Whenever a new product is released by any company, it is never going to be perfect the first time around. However as we have seen with CEO Tim Cook, customer satisfaction is king. When customers complained about the new “Maps” app that replaced the Google Maps app, Tim Cook wasted no time writing a letter apologizing to customers. So it makes sense that when customers complained about Apple’s newest release, the iPhone 5, Tim Cook called for stronger quality control. But was what he asked for too much? 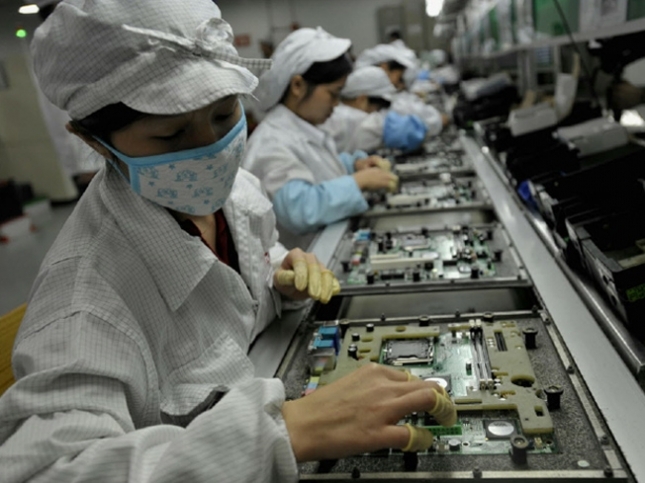 At the Foxconn production plant, workers, many from the quality control section, have gone on strike. From the China Labor Watch, we hear, “factory management and Apple, despite design defects, raised strict quality demands on workers, including indentations standards of 0.02mm and demands related to scratches on frames and back covers. With such demands, employees could not even turn out iPhones that met the standard.” Obviously, when it becomes impossible to do your job, strike is imminent. These standards led to fights among workers and quality control inspectors which ultimately halted production at times. This will delay shipments for iPhones for weeks. So back to my original question. How important is quality control? One piece of data that I would like to see is out of all these people who complained about the phone, how many actually returned the phone? Apple possesses one of the strongest brand names with large amounts of customer loyalty. I would also be interested to hear how many people would take an iPhone 5 now that leaks a little light than an iPhone 5 that is perfect in five weeks. I’m sure the data would shock us all as many people prefer immediate gratification as opposed to high quality. I would like to hear your thoughts on whether you believe in the highest quality control standards in relation to the phone or whether you believe that Apple should start churning out these phones like hot cakes and drop the price.